Greetings from UNSW Canberra, where Professor James Arvanitakis from University of Western Sydney is speaking on "Student Engagement and Teaching Like a Pirate". He has written an article on the same topic: "Kill your Powerpoints and teach like a pirate". Rather than studying pedagogy he teaches the way he would like to be treated as a student. Professor Arvanitakis, started with an amusing "Acropolis Now" style monologue about his experience as a new university student. The point of the story was how the fist year lectures shape the students university experience. His next point was about being a new lecturer who showed photos of pioneers of his disciple, which was dismissed by a student as "dead white guys". Professor Arvanitakis asked how to connect with first year students: are they like we were as students, or is there experience different? For me this is not such as issue as I am a student, admittedly a postgraduate student, but nerveless I can relate first hand to the current student experience. Professor Arvanitakis claimed that elite Australian high schools teach the students to rote learn. I am not sure I believe this, bit if true then there is a problem for university students adapting to have to critically asses material. Continuing the theme of context, Professor Arvanitakis asked the audience to draw a "mobile". I drew a "mobile sculpture" (sticks and strings hanging from a ceiling). He pointed out that older persons would draw that and younger ones a mobile phone. Professor Arvanitakis suggested that the role of the university is being challenged by companies and the Internet (to deal with that I set up my own company and put my own information in the Wikipedia). He said that students had an abundance of information and had the challenge of knowing what to read. Professor Arvanitakis suggested that universities are strange places, with different culture and language. The challenge is therefore acculturation of the new students. It seems to me that universities do try very hard to introduce new students. This is even done for online students with introductory forums and course-like un-assesed forums. Professor Arvanitakis told the anecdote of a student who's essay outline came back with a red line through it and "this is not an essay outline" written on it. The student wanted to quit university, but the professor suggested the student ask for more feedback. My response would be to withdraw from that subject and seek one with a competent teacher. I might also provide feedback to the university on their incompetent staff, but I have learned from bitter experience not to do that while still a student of that staff member. Professor Arvanitakis suggested we could get our students to reflect on their own learning and teach each other. Professor Arvanitakis explained his "out of office" auto email with twenty FAQs, including some not so serious ones. Some of the questions about when the student should turn up and what they should bring. It seems odd to me that an individual lecturer should have to do this, it should be something for the university. Professor Arvanitakis argued that teaching should be like modern TV series, with a "story arc" and that teaching should similarly have large themes. This would seems to be difficult to do in a university program composed of interchangeable "courses". This can be done within a course and, for example, I have students answer all weekly questions and assignments questions for "ICT Sustainability" about organisation. Professor Arvanitakis showed a video "James Arvanitakis talks about race (Intro to Sociology)" as an example of an informally worded video for the students to watch before class. He also showed news footage to be discussed in class.After putting the topic in a contemporary context he can then discuss theory. Professor Arvanitakis suggested keeping students active so they pay attention. He breaks lectures into twelve minute sections. This is much the same as conventional wisdom with learning videos (which are six to ten minutes). While Professor Arvanitakis was entertaining and the tips he gave were very useful, there were techniques which university teachers should learn in their introductory teaching course. If there are university lecturers who do not know these things, they need to be trained properly. Attending a one off seminar is not a substitute for a course with structured content and assessment. It is hypocritical and counterproductive for university lecturers to insist that their students must attend class and do assessment to learn, but they say that they don't need to learn how to teach. One issue which may come up is the expectations of new students who have already undertaken MOOCs and their expectations of university are based on that. Greetings from day two of the University of NSW Canberra, where I am attending the ICT for Development Symposium. This started with a video about the "eGovernment for Bangladesh" project by ANU and UNSW Canberra. This trained Bangladesh civil servants in how to use ICT for better administration. One frustration with this is while there are some academic papers produced from the project and a book (eGovernment for Bangladesh: a strategic pathway to success / Ahmed Imran, Tim Turner and Shirley Gregor, 2008), these are very difficult to access. 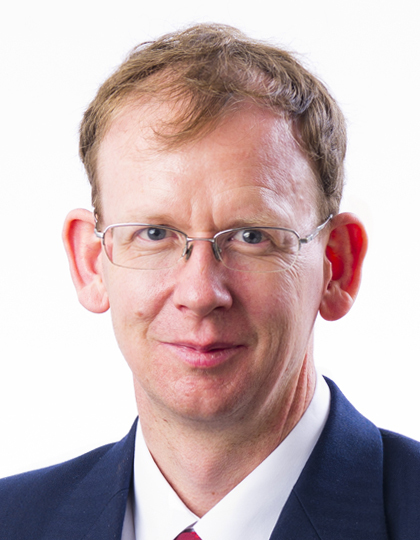 The first speaker is Professor Robert M Davison, City University of Hong Kong and Editor in Chief of the Electronic Journal of Information Systems in Developing Countries (EJISDC). He explained the difficulties which researchers in developing countries have in having their work published in "international" journals. The researchers may not having training in the terminology used by journals and the journals are not so much "international" as "western". The theories which the journals require the authors to mention are not really "universal" but are developed by western researchers in a western context. Non-western forms of thinking are relegated to being "indigenous knowledge". Professor Davison estimated that 99% of papers from developing nation authors are screened out at the pre-review stage, as not being relevant. He admitted that editors have biases, but that papers have to be relevant to the journal they are submitted to. I have had to face this myself as a conference paper reviewer, with some papers not being on the topic of the conference and so being rejected (about 20% in my case). Professor Davison commented that many researchers in developing nations do not study their own country and so may be missing opportunities. He also questioned the value of studies which just take an existing methodology from a western study and replying it in a developing country. He also criticised studies of intentions, such as if studies where favourably disposed to e-learning. I don't agree with these criticisms, as something useful can be learned from such studies, even if they are not ground-breaking. Professor Davison called for the development of new theories in ICT, rather than borrowing them from other disciplines. He also criticised studies which claim to be using "Grounded Theory" but are just presenting data with no theory to make sense of it. Professor Davison pointed out that ICT4D researchers are by their nature interested in practical outcomes to help development, rather than theoretical considerations and this view might be shared by the editors and reviewers. This was an excellent presentation and worth attending the whole two day symposium for. It highlights the important role which editors of journals play in academia. This role is not often mentioned in discussions of the quality of universities and education. Apart from academia, Professor Davison comments have great relevance to business, discussion for example, "Why eBay Lost to TaoBao in China". I noticed that the the Electronic Journal of Information Systems in Developing Countries uses the Open Journal System (OJS) free open source software and provides its papers free online. It can be very frustrating when learning of an interesting paper and then finding it is hidden behind a pay-wall and so inaccessible. The OJS based free journals have made a significant contribution to academia by making papers freely available. Greetings from the the University of NSW Canberra, where I am attending the ICT for Development Symposium. I thought this was going to be about how ICT could be used to help developing nations. However, so far it seems to be about where Information Systems (IS) fits as a discipline within academia and what forms of research are acceptable in the discipline. At ANU Information Systems is within the College of Business & Economics, and at University of Canberra the School of Information Systems & Accounting is within the Faculty of Business, Government & Law. These are separate from the computer science and engineering faculties. Being a computer science practitioner, who deals with some governance, environmental and development issues, I don't see how academia could be divided up into neat unchanging atomic units. There needs to be overlap and change. The question of what forms of research are acceptable seems a curious choice of topic for an event attended by experienced researchers. I can understand that new graduate students need training in different approaches to research, but this is a topic for a compulsory graduate course (such as "Research Methods in Distance Education" at Athabasca University), not a symposium. At the end of the day I asked if the last speaker thought that interpretive research had particular benefits for ICT for development. They seemed to be reluctant to say it was relevant, which seemed odd, as they were speaking at a conference on ICT for Development, so why were they there? Greetings from the the University of NSW Canberra, where I am attending the ICT for Development Symposium. This is being held in the Australian Defence Force Academy's expanded teaching building. Rice Daubney Architects have playfully decorated the glass curtain wall of the building with the ADF Disruptive Pattern Camouflage. Inside the building has multi-purpose teaching rooms, equipped with projectors and whiteboard walls. One problem I have noticed in what is otherwise a workable building is that the air-conditioning is very loud. The symposium is on the topic of "ICT for Development Symposium" but so far none of the speakers has addressed this topic. The morning has been devoted to the issues of forms of research and the relationship between research and industry. Curiously ISO/IEC 38500 Corporate governance of information technology Standard, which was also mentioned during the Australian Government Chief Technology Officer's talk, at the ACS Canberra Conference, yesterday. ps: The morning session ended on a slightly surreal note, with an officer cadent from ADFA, in camouflage uniform, playing a classical tune on a cello. Straight after the ACS Canberra Conference, I attended a focus group run by Oliver Burmeister from Charles Sturt University, on promoting professionalism in ICT. This is part of a two year study funded by the Australian Computer Society (ACS) and the Australian Research Council (ARC) on "Investigating which strategies are most effective in overcoming ethical problems facing information and communications technology professionals". My suggestion was to provide free open access educational materials online which meet the requirements for ACS accredited education programs. ACS could assemble material into the form of free online self paced courses. Thse could be used by anyone wanting to improve their understanding of professional ethics, used by ACS in its own educational programs, by an educational institutions in their programs and as an example of the minimum standard ACS requires for all accredited programs. For the last ten years I have been teaching ICT Ethics using materials from ACS to students at the Australian National University: "Professional Ethics and Social Issues in Networked Information Systems". Previous published work by Oliver on ICT ethics includes:"Ethics of Computing Committees: Suggestions for Functions, Form, and Structure (2008). Greetings from the Australian National University in Canberra, where I am attending the "Showcase of innovative use of technologies in education". The first presentation was about the multilingual course "Engaging India". Of the 11,000 students who registered 4,000 filled in an early survey (which is a high participation rate for a MOOC). About four hundred students passed the course (which is also higher than the typical MOOC). This was the first edX MOOC offered in two languages, most students used English but those how did not expressed appreciation for it being offered in Hindi. The course also used "badges" (non assessment token rewards). This increased participation rates, but the quality of contributions was lower (students contributing apparently just to get a badge). The most popular topic was mobile phones and storytelling. Surveyed students valued the videos, readings and tests. Students also liked weekly introductions and summing up (something I do in my e-learning, but which this course had which other MOOCs do not). As with other MOOCs the students were typically university educated and mature (not high schools as the proponents of MOOCs suggest). The course moderators did not have many disruptive "trolls" to deal with or questions to answer about the course, Most questions from students were about the platform described as "hideous" (I have a student researching how to improve edX). While Moodle forums are often criticised, it appears they are superior to edX. The ANU College of Asia and the Pacific at the Australian National University proudly offers an event to showcase innovative uses of technology in education. The showcase is being organised by the Digital Learning Project to promote sustainable blended and online learning environments for education programs across the university. It will promote the creative use of online and multi-media resources to enhance the learning experience of our students. The Project aims to develop a community of scholars in which inspired undergraduate and postgraduate students interact with staff in an innovative teaching and learning environment. The showcase runs until Friday afternoon at the Ethel Tory Centre, Baldessin Building ANU and there is plenty of space for anyone who wants to turn up. Also, I will be presenting in the "Rolls-Royce Education on a Mini Budget: Using Customised e-Learning Packages" in the "The Shape of ICT Education" stream of the ACS Canberra Conference, 23 September 2014. Greetings from the Australian National University in Canberra, where ABC science journalist Robyn Williams is telling scientists how to communicate with the media. He mentioned the value of the Australian Science Media Centre (AusSMC) in Adelaide, which helps scientists contact journalists. The University of British Colombia (UBC) have released report detailing their Flexible Learning Strategy. This should be of value to universities in Australia, and elsewhere, facing similar challenges from online competition and a demand for professionally relevant education. UBC's short term strategy is to: 1. improve the learning technology used for blended coruses, 2. develop continuing and professional education programs and, 3. join the edX consortium. On 22 August 2014 I attended a Flexible Learning Strategy Workshop at UBC's main campus in Vancouver. This workshop was intended for internal staff and so I could not report all the details at the time. The UBC Flexible Learning Implementation Team have now released "Flexible Learning Charting a Strategic Vision for UBC: Vancouver Campus", summarising this and other workshops. Apart from making public that UBC have joined edX (something which the implementation team asked me not to reveal previously, although everyone on the UBC campus seemed to already know), this document sets out the challenges for a large traditional university and some options for UBC to address these challenges. While these are problems from the point of view of an established university, perhaps the issue should be "flipped" and looked at from the point of view of the view of the customer, that is the student. As a student, I don't want to have to go across town (or across the world) to a set place, at a set time to undertake a set course of study. What I first want is help identifying what education I need for my career (and life) goals, formal recognition for prior learning and recognition of my experience. Only after that do I want to undertake courses, and other forms of education, to fill in any gaps in my education. As much as possible I want to do this without having to attend a campus and at time of my choosing. Also I only want to pay for the education I need and get. "Globalization, demography and the evolving careers market are changing the population of learners, while technological innovations and learning research are both empowering and challenging universities’ role in higher education. To understand the impact of these forces, we analyze the extent to which they enable other institutions to unbundle the components of education traditionally delivered by universities, and to challenge the capacity of the university to cross-subsidize between activities. We conclude that in a world in which excellent content and delivery are increasingly available online (and often for free) ..."
"... we must invest in delivering an outstanding education that is far more than content. These same forces may also unlock university access to new learner and program opportunities, and the potential for collaborations that strengthen a university’s position in the delivery of higher education. Indeed we are already seeing some evidence of this reshaping." "(1) strengthening performance in its traditional undergraduate programs through Place-based innovation in curriculum and student experience; (2) addressing adjacent and growing areas of demand for higher education; and (3) building partnerships that allow us to offer our students the most effective learning experiences and widest array of opportunities." By "Place-based" I assume that "on campus" is meant. Growing areas of demand are presumably non-campus based courses and "partnerships" edX and similar. Access-driven degree seekers: Traditional and younger students who want to attend a campus, but still want some of the learning online (a blended model). Convenience-driven degree-seekers: Adult students wanting an online program. Practitioners: Students seeking for prior learning assessment and credit transfer for professional qualifications (which may not be a degree). Growth learners: Those seeking education for less career specific goals. The problem for the university is how to satisfy these diverse groups with limited resources. Also demand will fluctuate and the same people may seek different types of education at different times. Such market segmentation may cause problems for the university in that it could end up competing with itself. A product offered by one group of students may be attractive for another group. As an example online courses may be offered for adult "convenience-driven" students, but could also be attractive to younger students who would otherwise have attended a traditional full time on campus program. Also it is not clear why only practitioners would seek recognition of prior learning and credit transfer. Presumably any student will want credit for what they have already done elsewhere. I know I do and I am increasingly unwilling to sign up for educational programs where this option is not provided. Continuing and professional education (CPE). Academic partnerships (including MOOC consortia). As the report points out none of these are new concepts and none is without difficulties. However, the availably of on-line technology makes them easier to implement (as well as increasing the competition from non-traditional educational providers). Greetings from the Entry 29 Co-working Space in Canberra, where the Innovation ACT Workshop on "Developing Prototype Solutions: Managing Uncertainty" is being held. Teams of students from Canberra universities are being taken through how to prototype, as part of developing their product or service. A prototype is used to try out an idea. It need not be a physical object. But a prototype needs to function to some extent, otherwise it is called a Mockup. Yesterday I attended a meeting about writing a book with about 20 other authors. If all goes well, the book will be published by a prestigious academic press in eighteen months time. We will not receive any money for the task but some kudos. But this is an intensely frustrating experience. Each chapter is on a different aspect of the topic with people from a different discipline. We therefore have different world views, different approaches to a task and different terminology (or use the same worlds with different meanings). Part of the benefit of the book will be in presenting a common view of the topic (also it will be useful to us to be forced to come to some form of consensus). There is someone with experience at producing books in charge of the project who is having to apply their diplomatic abilities to keep twenty egos happy. It will be an interesting, educational, but I suspect very frustrating process for all. with specialist STEM skills". This is unlikely to be adopted due to the resources it would require and is not a good way to teach. I suggest instead providing online resources for teachers and students, plus team teaching specialist assistance to in-classroom teachers. This is the approach used for remote area teaching in Queensland and NT, but should be adopted as normal practice across Australian schools. Greetings from the China Centre at the Australian National University in Canberra, where I am attending a workshop on academic writing by Rowena Murray. Her new book "Writing in Social Spaces " is just out. Rowena outlined the benefits and how to hold a retreat for writing with a carefully structured process. I did not think much of the idea, but then realised tomorrow I am attending a half day meeting about organising the writing of a book, with a dozen other authors. It might help if we had a structured process for this activity. Much of what Rowena advocates sounds just like common sense, such as setting time to write and removing all external distractions. The problem, of course, is that unless you organise something like a retreat, people do not actually do this. Perhaps academic libraries should have sensory deprivation areas, where WiFi and mobile phone signals are blocked. Greetings from the Finkel Lecture Theatre at the Australian National University in Canberra, where I am attending a workshop on Academic Writing by Rowena Murray, author of "How to Write a Thesis " from University of the West of Scotland. Suggests that 90 minutes is the optimal time for concentrated writing. One issue which writing for a thesis raises for me is if we are doing the students a disservice for making them do this. 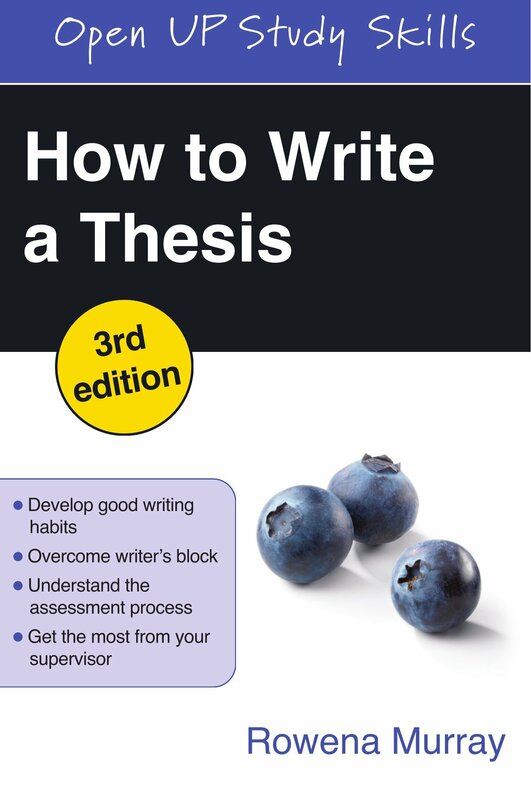 A thesis is not a particularly useful form of document: it is used as a form of assessment, rather than to communicate information.Why make the student write a document which hardly anyone will read and develop a skill which they will never use again? I suggest it is better to have students write much shorter academic papers and reports, as these are read and it is something they are likely to do in the future. The quantity of work needed to award a Masters or Doctorate can then be demonstrated by a collection of such work. Unfortunately such a Thesis by Compilation is seen as not as prestigious, even where it is allowed by a university. Another issue is collaboration in writing. Students are normally required to attest their work is their own. But employers want (and universities claim), that their graduates can work in teams. Some student activities may be in small groups, but in the case of writing in the workplace may involve dozens, hundreds or thousands of people. The workshop included a short writing exercise where we had to write about our writing. This was an interesting exercise in thinking about what I needed to write and when I needed to write it, rather than being overwhelmed by the magnitude of the task. But in terms of the mechanics of planning the writing process, students should be able to apply whatever project management techniques they learn in their discipline. As an example, computer professionals and engineers are trained in formal project management methodologies, used to undertake multi-year projects with large teams of people. Students who have been trained to organise large projects should be able to apply these skills to managing their writing. Rowena suggested using the phrase : "The purpose of this paper is to ...". A version of this is routinely used for engineering documents: "The purpose of this document is to ...". But when I tried using it in a sociology paper my tutor told me this was plagiarism (which seemed a bit silly, but as a good student I changed it). Teaching academic supervisors some techniques to help their students to write is useful, but this is the most effective and efficient approach. It would make more sense to have specialists teach the students about writing in specialised courses. As an example, ANU Master of Computing students undertake a course in Communication for Computing Professionals. Previously I have have noticed that about one third of my masters students have difficulty with writing and asked for a course to address this. So far the new course seems to be working. There is no reason why doctoral students should not undertake similar courses. ANU will run "Scrivener: thesis writing made easier", 24 September 2014, on the use of the Scrivener Writing Tool for Ms-Word. See also "Writing a novel in Scrivener: lessons learned". Jill Andrew, from the Future Learning Team, will speak on "Integrating Technology into the Australian School Curriculum" at the ACS e-Learning Special Interest Group in Canberra, 8 October 2014. Jill will be in Canberra to conduct a free Canberra Future Learning Event on integration of technology in the Australian School Curriculum for NSW and ACT teachers, 9 and 10 October 2014. This includes Flipped Classroom, Creating and publishing digital portfolios and e-learning spaces, implementing a BYOD policy in schools, Digital Citizenship, Google Tools, Social Media for Educators, Creative Commons.